The second and equally impressive brunch platter was from Cafe Europa, found on the corner of the main city square. Again, this platter of goodness kept us going all day long and just looking at the picture again has me dreaming of eggs, avocado and all the coffeeeee. NyHavn // It wouldn't be a trip to Copenhagen without visiting the idyllic area of Nyhavn. Famous for its vibrant, colourful houses and peaceful canals, a great afternoon can be spent wandering around this area. After taking 1,000 pictures of the pretty pastel houses, we decided to take a boat ride around the city. I'd never done this before and would highly recommend - it was only 40kr which is about £5 and lasted one hour. It was great to be able to put our feet up and see the city from a distance. 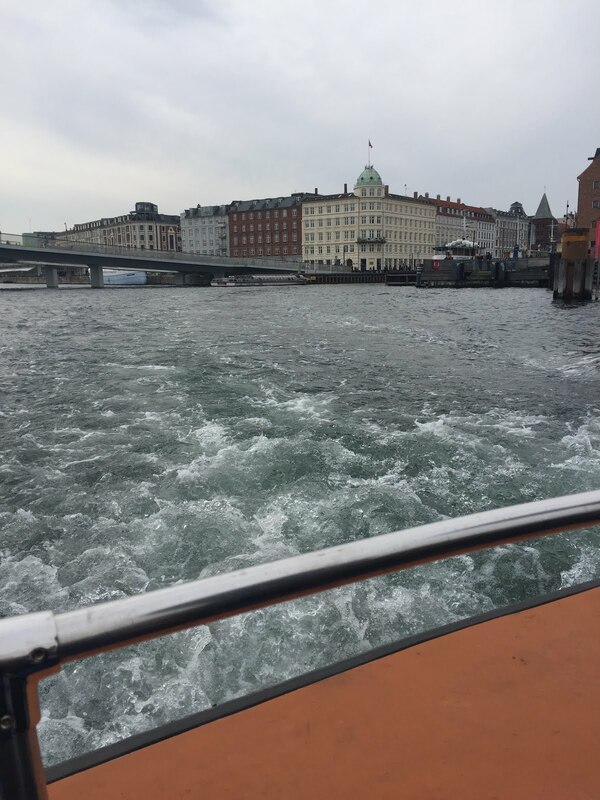 We got to see lots of the tourist attractions such as the Little Mermaid and the gorgeous area of Christianshavn. 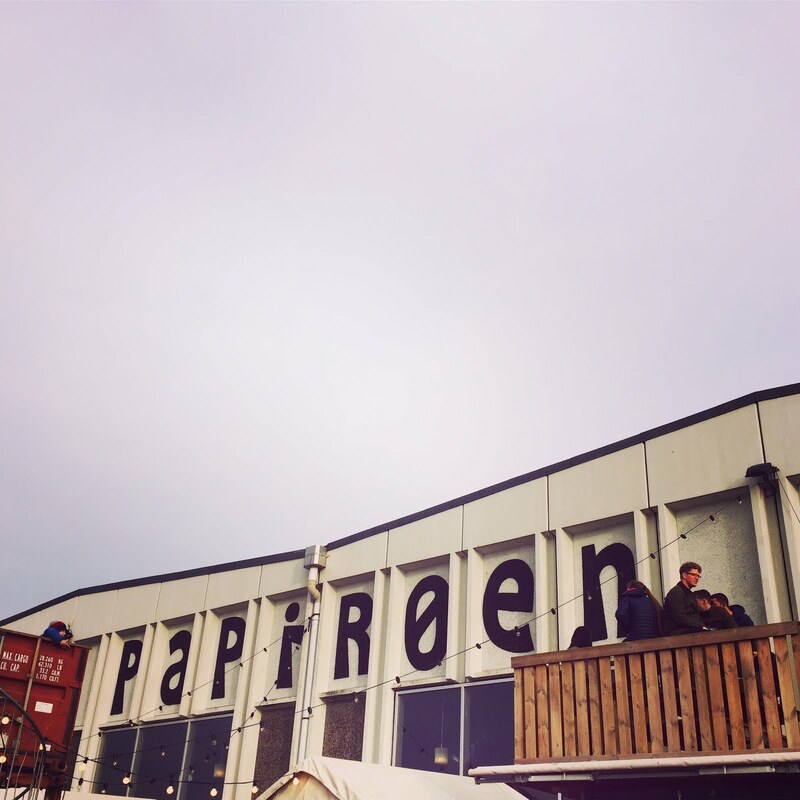 Paper Island // From the boat, we spotted this buzzing food market across the city. It honestly looked so busy and lively, we knew it was the place to be. After realising that it was literally only a 10 minute walk from Nyhavn, we headed over to Paper Island, a wonderful food market serving everything and anything you could think of. I enjoyed an amazing duck burger from a stand called 'Duck It' and couldn't resist a creme brûlée glazed donut... hands down the best donut I've ever had in my life... and trust me, I've eaten a lot of donuts. Mother and Bar Seven // On our final night, we went to Mother, an italian restaurant in the super cool meatpacking district of the city. We've been to Mother twice before and it become a firm favourite of ours, always visiting when we could. 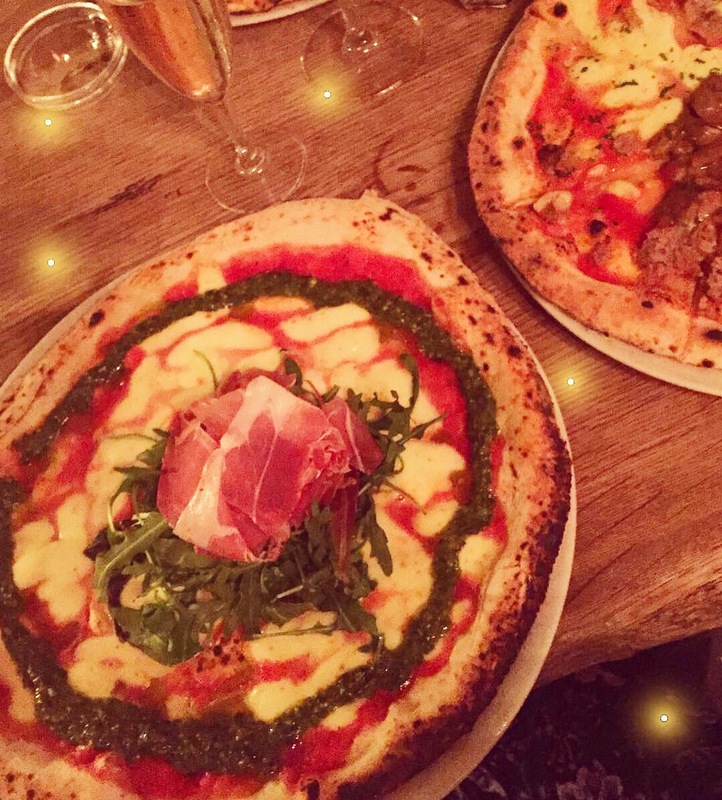 The food is always incredible - I opted for the pesto and prosciutto sour dough pizza and have been dreaming about it ever since. After dinner, we headed to a small, underground bar called Bar 7. This bar was literally next door to our AirBnb and we soon fell in love with its relaxed atmosphere, jazz music and delicious selection of cocktails - I highly recommend Missing Mia and Boston Sour. Tivoli Gardens // Sadly the gardens were closed when we went recently in March (think they re-open in April), but thankfully I've been before and would recommend. This idyllic garden in the middle of the city is a lot of fun - enjoy rollercoaster rides and delicious food, whilst soaking up the sunshine. I would say it's a little on the pricey side (you have to pay to get in and then pay for all the rides and food, etc) but I guess that contributes to the up keep and maintenance of the gardens - it's worth a visit. Christiana // take a step back in time and explore the hippie village of Christiana. I recommend visiting during the warmer months and take your time walking through the city exploring and enjoying all the sights on the way. Church of our Saviour // This was truly a memorable experience. This church allows you to climb up and around the outside of its spire - now, I climbed up this motherf*cker and almost died when a huge gust of wind tried to blow me off the stairs (seriously it was terrifying), BUT it's an incredible experience and gives you a breathtaking view of Copenhagen, you can honestly see for miles. I would 100% recommend visitors do this but perhaps choose a calm, mild day to do so... haha! It looks like you had a fab time! Your pictures are stunning! All that food! Never been to Copenhagen but always on my bucket list. Looks so quirky and quaint. I must give it a visit! This post is making me hungry. The food looks sooo good. The architecture is beautiful too. Looks like you had a great trip. Thanks for sharing!